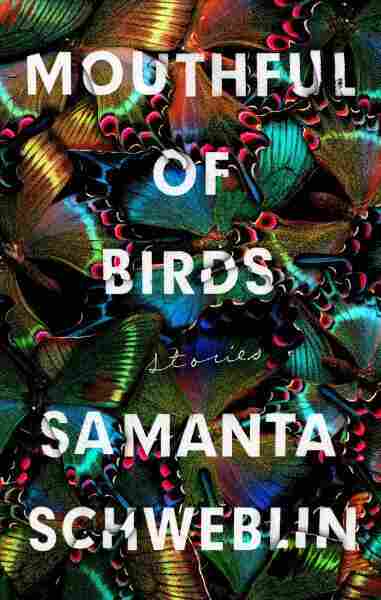 Existential Dread Is Deceptively Simple In 'Mouthful Of Birds' Samanta Schweblin has a gift for treating the otherworldly with a matter-of-fact attitude; her new story collection proves that she's a master of elegant, uncanny fiction. Admirers of Schweblin's work will be delighted to learn that she hasn't lost any of the atmospheric creepiness that made Fever Dream such an unsettling ride. Her new short story collection, Mouthful of Birds, is just as ethereal and bizarre as its predecessor, and it proves that Schweblin is a master of elegant and uncanny fiction. The collection opens with "Headlights," which wastes no time introducing the reader to Schweblin's off-center sensibilities. The story follows Felicity, a young, newly married woman who leaves a roadside bathroom only to find that her groom has apparently driven away, abandoning her. She soon encounters Nené, who acts as if she's been expecting Felicity's arrival: "They get tired of waiting and they leave you," Nené explains. "So the girls cry and wait for them ... and they keep crying and crying at all hours, every minute of every damned night!" Felicity makes an attempt to escape the bizarre scene, but it doesn't turn out as she'd hoped. It's a terrifying story, with much of the horror coming from the words Schweblin doesn't write — she lets the reader's imagination fill in the blanks, and the result is dark, ghostly and amazingly effective. In the title story, Schweblin leavens the peculiar with some dark humor. "Mouthful of Birds" finds a man visited by his ex-wife ("[W]hen the past knocks at the door and treats me like it's four years ago, it turns out I'm still a dumbass. "), who has some unsettling news about their daughter — she's taken up eating live birds. The father takes the girl in to live with him, trying to come to terms with his daughter's new and unfortunate diet. "I thought about how ... eating live birds wasn't so bad," he thinks. "[F]rom a natural point of view it was healthier than drugs, and from a social one, it was easier to hide than a pregnancy at thirteen." Schweblin recounts the story with a straight face, and the ending is suitably bizarre, but also, in a very, very weird way, kind of sweet. Schweblin is gifted at treating the otherworldly with a matter-of-fact attitude, writing about the surreal as if it were unremarkable. She uses this technique to great effect in "The Merman," about a woman with a domineering brother and insane mother who happens upon the title creature at a dockside bar. It doesn't take long for her to act on her attraction to the creature: "I kiss him, and I feel the cold of his mouth awaken every cell in my body, like a cool drink in the middle of summer. It's not just a sensation, it's a revelatory experience, because I feel like nothing can ever be the same again." Schweblin is gifted at treating the otherworldly with a matter-of-fact attitude, writing about the surreal as if it were unremarkable. It's a fully realized love story, and Schweblin perfectly captures the breathless feeling of possibilities that come with infatuation. She never overplays her hand — some authors seem to be in love with their own quirkiness, but Schweblin writes about even the oddest situations with a self-assured confidence; she never winks at the reader or revels in her own cleverness. She also knows the power of the short story as a genre that rewards the economy of words. One of the most terrifying stories in the collection is "Butterflies," which clocks in at just three pages, but manages to pack an unforgettable punch. The story focuses on a group of parents outside a school, waiting for their children to be released for the day. When a father absent-mindedly traps and kills a butterfly that lands on his arm, he realizes too late that his simple cruelty might have cost him something dear. Like many of the stories in Mouthful of Birds, "Butterflies" is difficult to summarize — Schweblin evokes feelings of dread and existential horror in a way that's deceptively simple. And her writing, beautifully translated by Megan McDowell, is consistently perfect; she can evoke more feelings in one sentence than many writers can in a whole story. Fans of literature that looks at the world from a skewed point of view will find much to love in Schweblin's book, and so will anyone who appreciates originality and bold risk-taking. Mouthful of Birds is a stunning achievement from a writer whose potential is beginning to seem limitless.